The attention of Akwa Ibom State Government has been drawn to publications in the Nation and Sun newspapers of Saturday, August 25, 2018 where the All Progressive Congress (APC) alleged that the Four Points by Sheraton Hotel, Ikot Ekpene was over 98% completed as at the time Senator Godswill Akpabio vacated office in 2015. Ordinarily, the State Government would have ignored such spurious claims as it has never been our intention to join issues in the media but to focus on “Project Akwa Ibom”. However, it has become necessary for the public to know who is telling a lie and we feel obligated to state as follows. 1. That immediate past Governor commissioned the Four Points by Sheraton Hotel, Ikot Ekpene without a signed Franchise agreement and full complement of requisite furniture and fittings. 3. We challenge immediate past Governor to validate his claims of having fulfilled the requisite contractual obligations with Starwood Hotel & Resort for the Four Points by Sheraton franchise by publishing a copy of the signed management agreement. a. When was the agreement signed? Who were the signatories and witnesses to the transaction? b. Which Special Purpose Vehicle (SPV) was used in signing the agreement before vacating office. i. 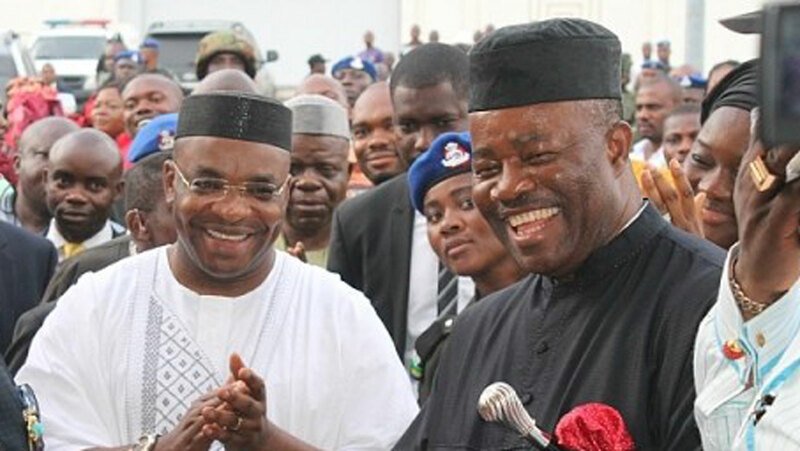 The SPV that manages the transaction on behalf of the Akwa Ibom State Government; Raffia City Hotels and Tours Limited was incorporated on June 11, 2015; more than one month after Senator Akpabio had commissioned the hotel. (Certificate of Incorporation attached). c. To set the records straight, the Senator should also publish a copy of the Certificate of Incorporation of the Special Purpose Vehicle (SPV) he used for the transaction. 4. Regrettably, it paints an unpalatable picture of mischief for the immediate past Governor; a lawyer by profession, to present an unsigned and unverified press statement in the Nation newspaper of July 12, 2014 as evidence of a legal contractual obligation on a high networth project as one in question. This is a brazen and unremorseful attempt at demeaning the intelligence of the good people of Akwa Ibom State. 5. It is ludicrous that despite being confronted with bare facts, the immediate past Governor is unabashedly making spirited attempts at sweeping the facts under the carpet by alleging that his administration had fulfilled all franchise requirements with Starwood Hotels and Resort and that the current administration was only expected to pay the fees when it fell due in 2015.
a. How come the hotel that had been commissioned never started operations before the end of his administration? b. How come there was no guest traffic count and/or feasibility study carried out to justify the N25.4bn investment in a 146 room hotel? c. Why were external caterers hired to bring in food if the kitchen and dining facilities were ready, equipped and commissioned? d. How come the hotel is a subject of discussion today; three years after it was supposedly commissioned? e. Who benefited from the contract awards for the hotel? f. Who brought the contractors? g. Who benefitted from the over 95% payment his administration disbursed on a half-completed hotel? While the Akwa Ibom State Government is reluctant to engage in a mudslinging combat with anybody, we will provide more facts to justify who is telling the truth and who is lying when the questions asked are answered.